Having recently closed the doors of our workshop in Lai Chi Kok, we no longer offer our hands-on brewing classes and other brewing services. However, we will continue to offer our intermediate-level BTSB 201 (Approaches to Brewing Ales) and BTSB 301 (Recipe Design and Troubleshooting) on a quarterly basis or by request with groups of four or more. We also offer beer tasting sessions for larger groups of 20 or more with a range of themes. Lastly, we will continue to upload content to our Blog page and participate in local beer festivals to offer beer education through talks and seminars. Teach short and long-term courses on beer and brewing for brewers of all experience levels. For more information, check out our "Courses" page. Offer group tasting events with a theme of your choice for groups of 20 or more. Beer Brewing consulting services (i.e. recipe design, equipment selection, troubleshooting, etc). 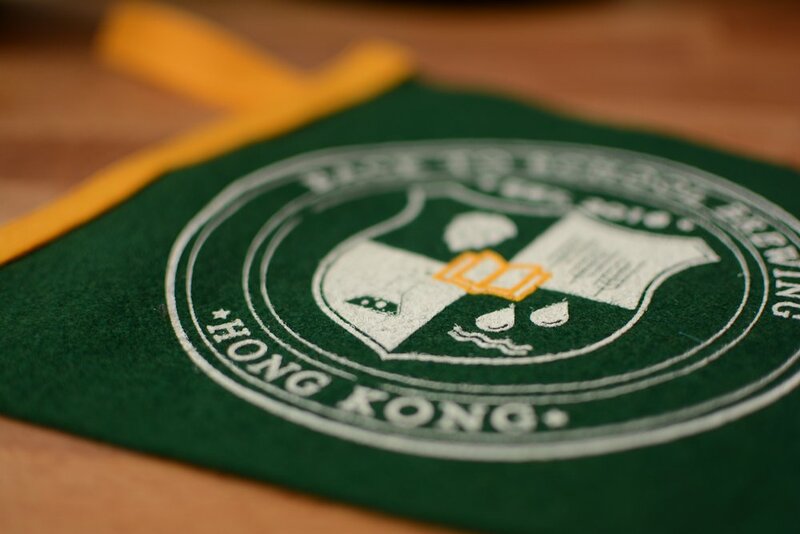 Back to School Brewing Ltd was founded in 2016 with the purpose of promoting community and craft beer education in Hong Kong. Having lived in Hong Kong for six years, the founders have seen the growth of craft beer in this city and aim to provide a space where people can get together to learn more about beer in an engaging way and in a comfortable setting. Justin started brewing at home in Hong Kong six years ago and has been hooked ever since. After 10 years of teaching Physics he enrolled in a professional brewing course at the American Brewer's Guild and started planning to open Back to School Brewing. In January 2018 he began his professional brewing career with Gweilo Beer in Fo Tan. Back to School Brewing had a brick-and-mortar location in Lai Chi Kok from 2017 - 2019, and continues to offer foundational brewing courses, corporate beer tasting events, and consulting services. Please consider us for your next team-building event or to build a fundamental knowledge of brewing science and enjoy the blog posts related to beer and brewing! If you would like to stay updated on our events then please join our email list below. Visit our site again for new blog posts and videos related to craft beer and brewing in Hong Kong.